The digitisation of the economy is a disruptive process that is fundamentally changing the way enterprises operate. They face significant shortages of IT (information technologies) specialists and digitally-skilled workers. 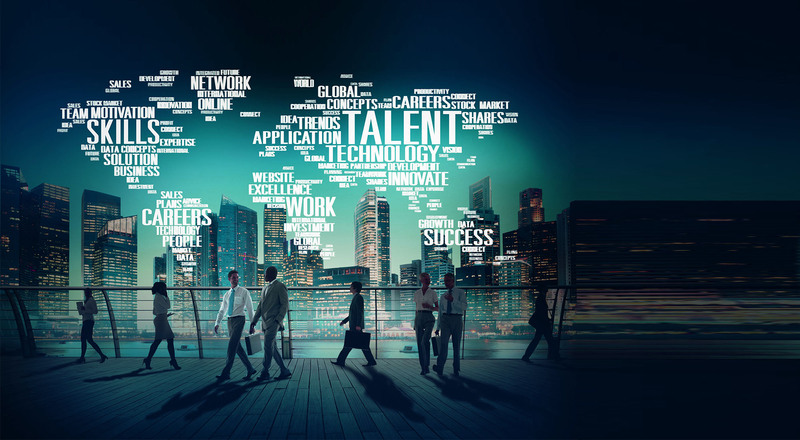 A report on the "digital talent gap" revealed that over 80% of enterprises realise that digital transformation is a competitive opportunity but over 90% lack skills. SMEs have even more difficulty in recruiting digitally-talented staff. The demand for IT professionals is outstripping supply. The shortage (calculated as the number of potential open posts) is estimated to reach 500,000 in 2020. Industry also needs digitally savvy leaders and innovators. There is a lack of managers with such a skillset: it is estimated that there will be a gap of up to 250,000 e-leaders by 2020 in Europe. The skills required to achieve successful technological innovation are crucial in developing Europe’s competitiveness and innovative capacity. The modern economy depends on individuals with the ability to design new business models and to seize opportunities making best use of new technologies to deliver value. The T-shape metaphor together with the presentation of the leadership skills triangle is useful to describe “future ready” professionals who are adaptive innovators with the necessary high-tech talent and leadership skills. Between 2013 and 2025 an additional 953,000 KETs professionals and associates will be needed to satisfy demand. Most of jobs related to additional demand (62%) will require highly skilled people, though there is also a relatively strong increase in demand expected for mediumskilled people in KETs (30% of additional demand). The data show potential a possible gap in the range of approximately 21,000 to 83,000 highly-skilled KETs employees per year and 10,000 to 44,000 medium-skilled KETs workers per year, depending on how the field develops. 3. See the webpage and the reports on "Skills for Key Enabling Technologies in Europe"